Contact the best independent drainage experts in the South. Telephone 0800 7818922 now! Fast and effective drain repairs across Kent and South London! Suffering from blocked drains at your property? Let the experts at JLH Drains quickly and effectively remove the problem! Providing our services from five offices based around Kent and Medway, JLH Drains bring effective and fast solutions to all kinds of drainage problems; from blockages and blocked drains to cracked pipes, drain unblocking and even pollution control. We specialise in providing highly effective and fast drainage solutions that don't require the entire drainage system to be dug up. Utilising the very latest equipment and an experienced and safety-qualified team of drainage experts, we provide a truly comprehensive service that encompasses everything from dye tracing and CCTV drain surveys to high pressure water jet cleaning and drain re-lining. Call us today on 0800 781 8922 to arrange your FREE property survey and no obligation quotation at your convenience. We guarantee no hidden charges, a fixed quotation and we guarantee our work. 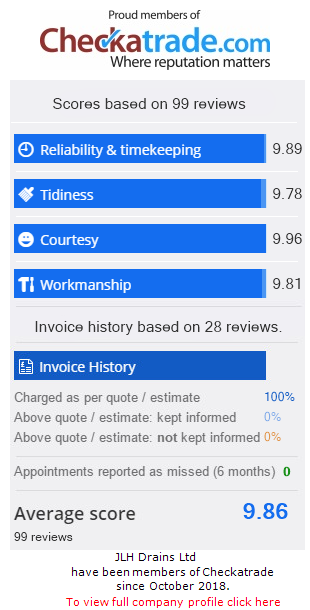 Don’t pay us until you are 100% satisfied. You will get a fast, efficient, professional and prompt service from a company that has helped thousands of clients over the past ten years. We take an immense pride in the testimonials we receive. We arrive within one hour 99.4% of the time! 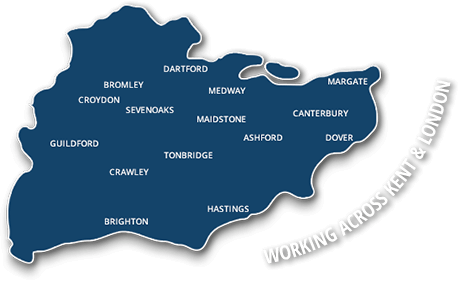 Our offices and engineers are based throughout the Kent region in Maidstone, West Malling, Sheerness, Gravesend and Medway, guaranteeing emergency attendance in less than an hour and a half. Providing comprehensive CCTV drain surveys, unblocking and emergency repairs, we cover all of Medway, Kent, Sussex and Surrey. We have recently undertaken drain unblocking and CCTV drain surveys for homeowners and commercial clients in Gillingham, Chatham, Rainham, Twydall, Rochester, Strood, Maidstone, Sidcup, Dartford, Gravesend, Higham, Luton, Newington, Sittingbourne, Meopham, West Malling, Orpington, Bexley, Swanscombe, Guildford, Wigmore, Parkwood, Leatherhead, Hoo, Sheerness, Northfleet, Allhallows, Crayford, Sheppey, High Halstow, Tonbridge, Whitstable, Canterbury, Woking, Farnham, Margate, Cobham, Herne Bay, Tunbridge Wells, Ramsgate, Bromley, Faversham, Cliffe, Medway and London. Certified to use high pressure water jets, work in confined spaces and to safely set up streetworks like signs, lighting and guarding, we are fully insured to £5m and have received positive feedback from our domestic and commercial customers over the last ten years. As one of Medway, Kent and London's leading drainage companies, we work for a diverse range of customers including private homeowners, commercial property managers, letting agents, hotels and restaurants. We also support electricians and other tradesmen needing temporary access to miniature CCTV systems. Providing emergency repairs and ongoing maintenance contracts across Medway and Kent, we focus on implementing effective and competitively priced services that minimise disruption and can entirely remove digging down to the drains ensuring that your drain doesn't stay blocked for long and affords you minimum disruption. 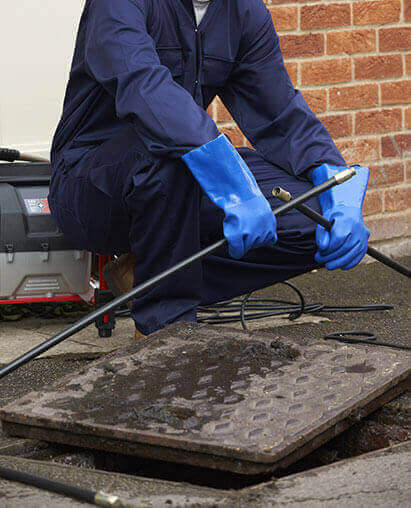 You can find full details of our repairs and maintenance services on the blocked drains, drainage CCTV surveys, drain repairs and high pressure water jetting pages of this website. Similarly, we also have a guide on how to unblock drains, so be sure to check that out too. We also welcome enquiries at any time, experienced members of our drain unblocking team are always on hand to answer questions; contact us at JLH Drains today to arrange your no obligation survey and quotation at your convenience.